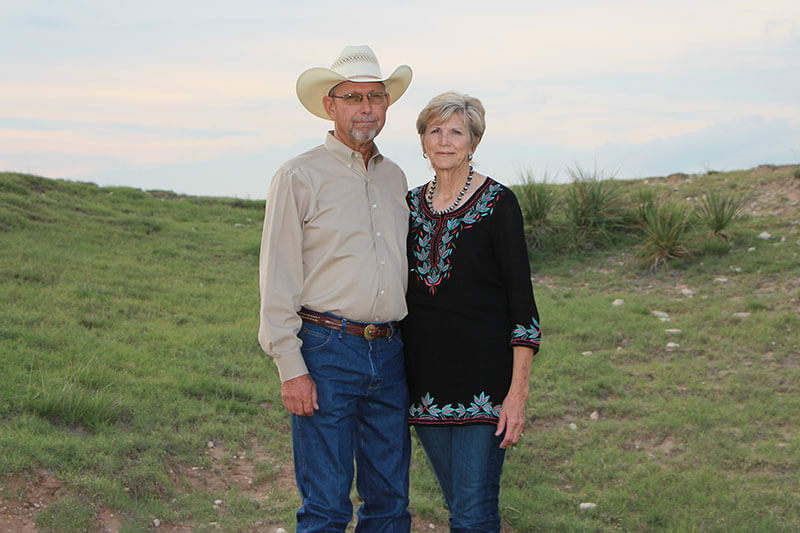 Ranching and farming is an Olson family tradition. Steve is the fourth of the six generations that are now actively involved in the day to day operation tending to the cattle and the land that has been placed under their care. Scott and Moriah (oldest daughter) Pohlman live on the ranch west of Hereford with their two sons. There, they raise their own registered Angus herd and team up with us in March to host our annual bull and female sale. Our son, Sy and Kristi live south of Hereford on the family farm homestead with their three sons. They run their own diverse operation of cattle along with irrigated farming. Brent and Joanna (youngest daughter) Carlson live north of Hereford with their two sons. They also run their own diverse operation of cattle along with irrigated farming. Even with each family unit being independent of the other, we still work alongside each other during many of our seasonal work days. We often hear at the end of the day "Don't worry I'll spreadsheet you for that" or even better "I'll invoice you for that"! 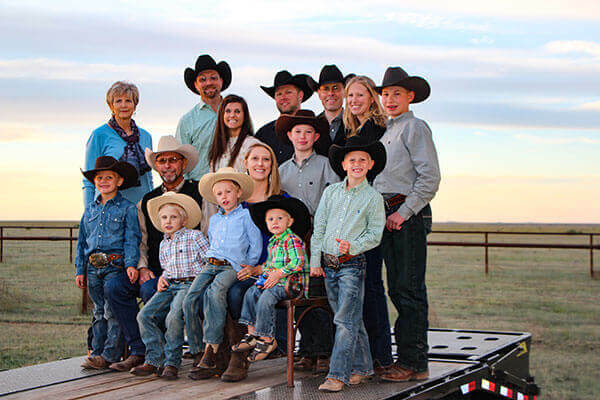 Our family has been actively involved in both the American Angus Association and National Junior Angus Association since the kids started showing heifers in the 1980's. The NJAA played a huge roll in their leadership development as they served on the National Junior Angus Board and the girls served as Miss American Angus. In 2006 when Steve was elected to the AAA Board of Directors, a journey began that held unexpected surprises for our family. The greatest of which was the election as president of the AAA in 2015. So many challenges, yet so many rewards especially the relationships developed with our Angus friends across our vast country. We have moved off the farm south of Hereford where we have lived and raised our family to one of our ranches east of Hereford. This will enable us to devote our time to the cattle and leave the operation of the farm to our son. We are excited about the transition enabling us to expand our cow herd and devote more time to our breeding program. Our goal is to produce registered Angus seedstock utilizing our native grass and irrigated forages in a manner that promotes sustainability for future generations. We are fortunate to be a part of a wonderful breed and will continue to strive towards satisfying our customers. We love our ranch life!